Three men were about to play an important part in Hawaii’s civilian aviation efforts. 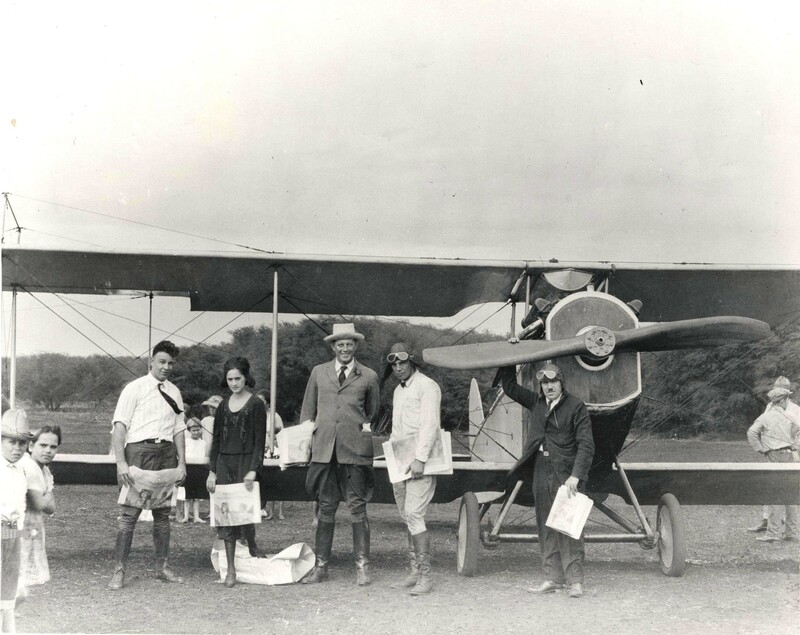 W. “Ben” Stoddard and Charles J. Fern had been fraternity brothers in college; Fern and Charles T. Stoffer were Army flying instructors who, discharged after World War I, decided to fly for a living. 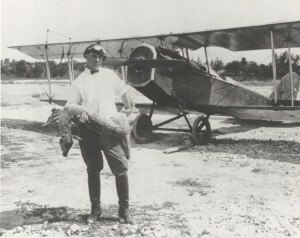 Stoddard, in July of 1919, took a few flying lessons from Stoffer in Woodland, California, but didn’t finish the course. 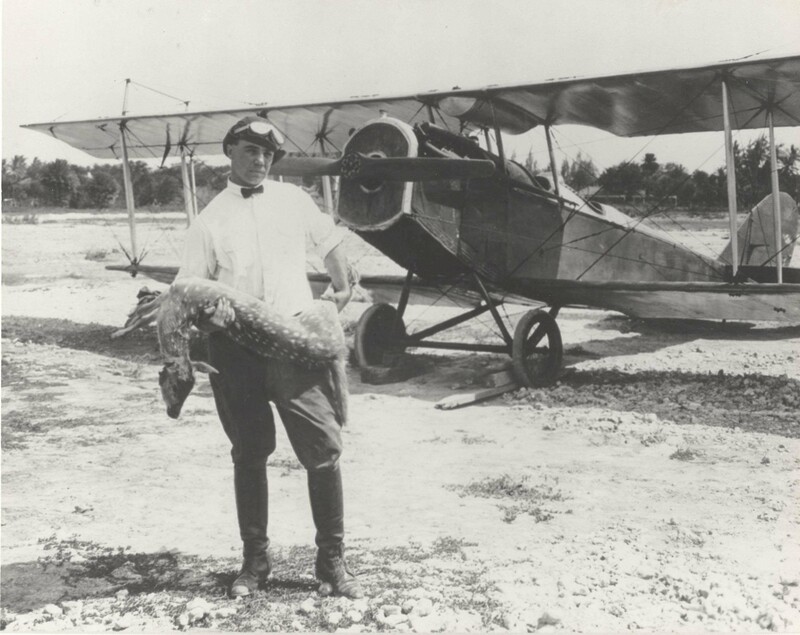 When his interest in flying cropped up again, Stoddard purchased a JN4D and asked Fern for flying lessons. After talking it over, the two elected to go barnstorming in California’s northern communities. But everywhere they went in the San Francisco Bay area, some flyer was already in place. Fern started barnstorming from Kapiolani Park in Honolulu on December 30, 1919, nine years after Mars’ first flight, carrying the first paying passenger in Hawaii since Tom Gunn. The cost was $10 a hop with $25 for stunt flying.” His Jenny had an OX5 engine which developed 90 horsepower and carried enough fuel for 2 ½ hours cruising or about 150 miles. Intrigued Honolulu businessmen began thinking about flights between the islands and even dared to dream of ventures between Hawaii and the major land masses of the world. Locally, a larger mode of transportation meant a great deal to business establishments. In fact, it was an economic necessity. The Territory consisting of six major islands, it was difficult to transport people and goods because ships were slow and traveled too infrequently. Major companies were forced to maintain offices on the other islands, thus spending far more days away from the home plants than were needed. Air travel would save time and money and would actually enhance business. Tourist and resident travel among the islands was not so important yet, because planes carried too few passengers. Flights to and from the mainland appeared far in the future, although they bore some consideration.